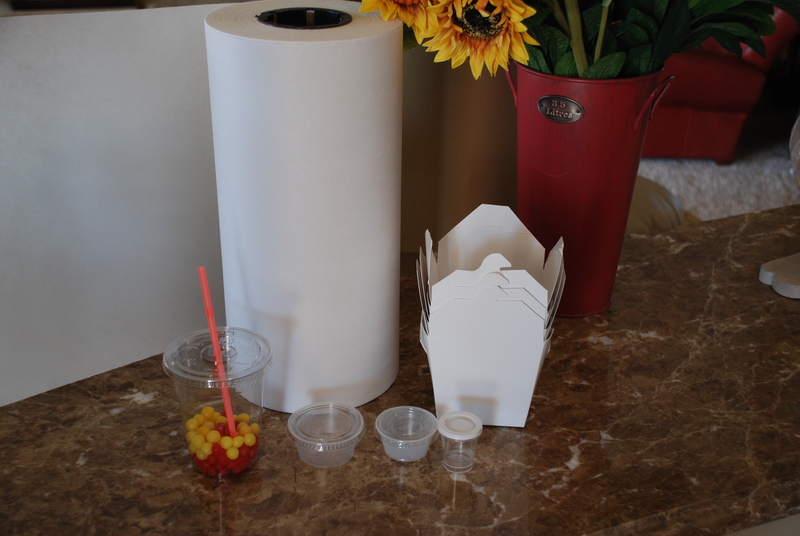 From Butcher Paper, Chinese To Go Boxes, Condiment Cups, Parchment Papers. 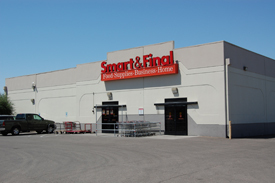 Most any kind of Food Related Papers.I love,love,love this store, Smart & Final. 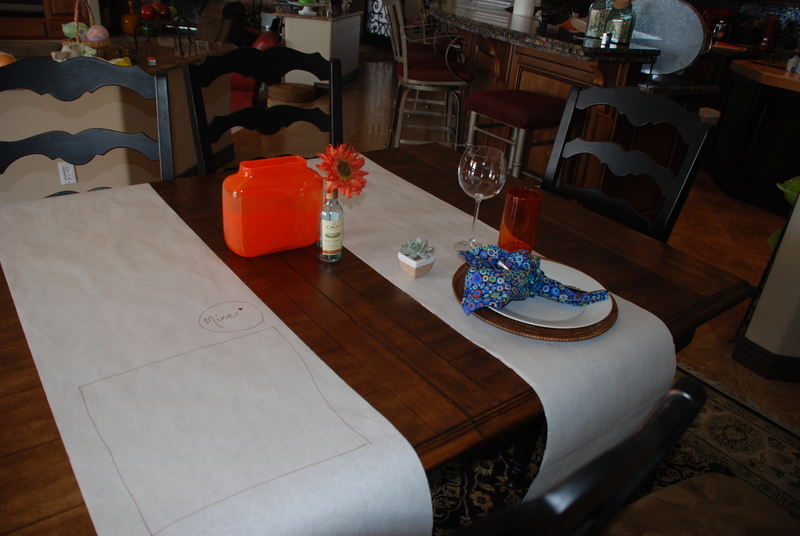 One use for the Butcher Paper is to use it as a Runner for your Dining Table . You can draw placemat’s on it,draw a circle for the drink spot, write Guests names at their spot like Name Cards. If you are playing games you can use the paper as a Tally Pad. Leave a small pencil at your Guest spot so they can doodle while dining. Just a fun idea. One Thanksgiving Dinner I lined the pony wall with the paper, we set all the Desserts on the paper, took Sharpie’s and wrote by the Dessert what it was and who made it. Leave the Sharpie there and guest can write comments about it.Fun, Fun, Fun ♥What are some ideas you can do with your Butcher Paper?